Music Together is an early childhood music and movement program for children from birth through age eight—and the grownups who love them! First offered in 1987, our music classes help little ones develop their innate musicality—and much, much more. Our early childhood music curriculum has decades of research behind it, in both music education and child development. We know what we're talking about, and we're good at what we do! And because we recognize that children learn through play, we make everything we do in class engaging and fun. We also know that young children learn best from the powerful role models in their lives. That's where you grownups come in! 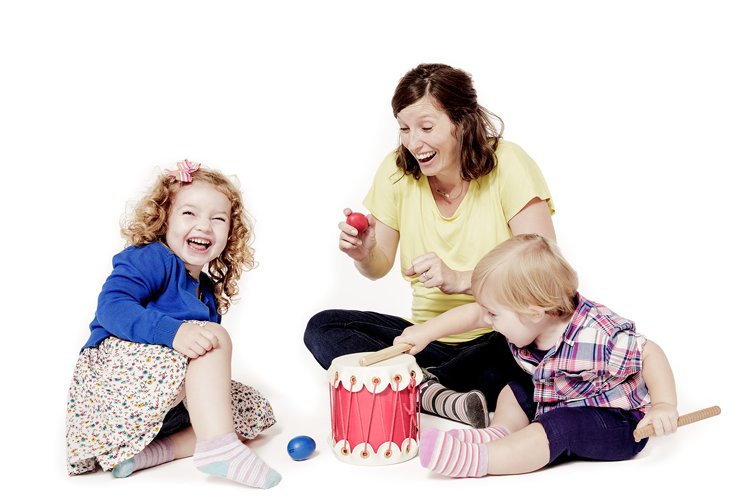 Our family music classes show parents, teachers, and caregivers how to help their children become confident music-makers just by having fun making music themselves. Music Together brings families of all kinds together in a warm, supportive environment where everyone feels comfortable singing, dancing, and jamming. Creating lasting family and community bonds through music is a huge part of our programs. Our classes can be found in more than 3,000 locations in over 40 countries. No matter where they live, all Music Together families sing and dance to the same music in the same fun, informal class setting that is the hallmark of our program. Use our Class Locator to find a list of classes in your neighborhood!